This picture frame was perching in a Hallmark store, waiting for a naive victim to purchase it as a token of friendship. Little would that girlfriend know she would be paying $15.99 to perpetuate a terrible crime: accepting and supporting an incorrectly placed apostrophe. 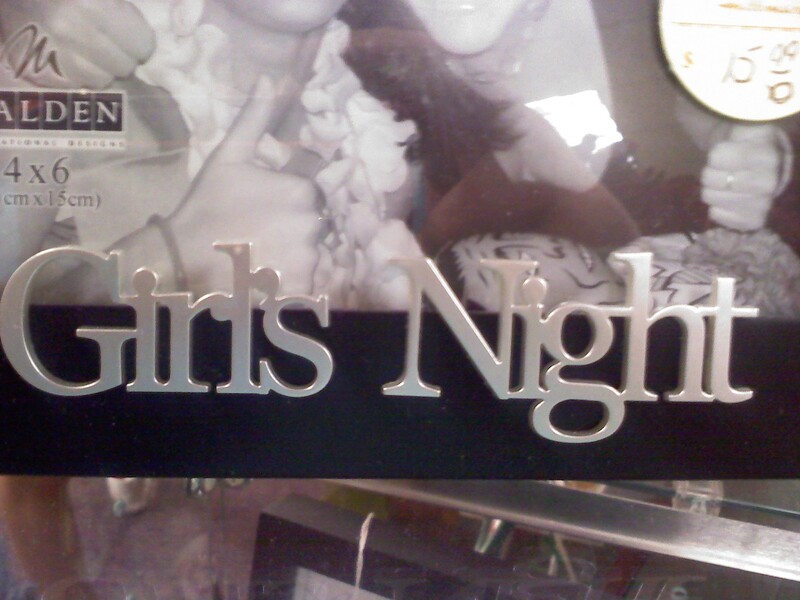 The problem: The picture frame says “Girl’s Night.” Now, unless I’m mistaken, this is wrong, quite wrong indeed. A girl’s night would be a night that belongs to a girl — one girl. So perhaps a sad, lonely girl with absolutely no friends who likes to dress up as several characters and then photoshop a picture of herself posed with herself would like a fitting picture frame. If that’s the case, then this is the one for her. However, I think the makers of this frame had a slightly different purpose in mind. They envisioned a group of gals having a night out on the town, posing and smiling to capture that perfect moment of their evening. In this case, the frame makers should have moved the apostrophe so that the message says “Girls’ Night,” which would suggest a night that belongs to the girls. According to some authorities, the apostrophe is unnecessary. The apostrophe is generally not used in a descriptive phrase if “for” or “by” (rather than “of”) would be appropriate in the longer form: a night for girls. It’s like “teachers college” (a college for teachers) and a “writers guide” (a guide for writers) — which aren’t really possessives, but descriptives.